On the 7th and 8th of April, Cornwall badminton competed in the 17-20 English County Challenge, which took place in York. 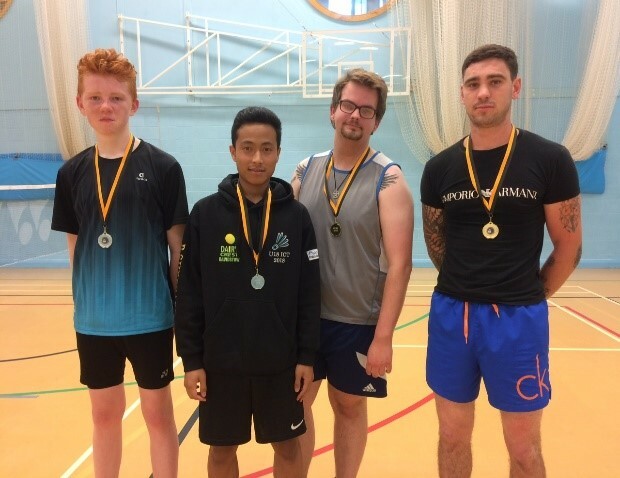 After taking over 10 hours to get to York the previous day due to a broken down mini-bus, the team faced an exciting challenge against a number of top players from all over the country. Their box consisted of teams from Cheshire, Yorkshire and Lincolnshire. The first match against Cheshire was a huge success, with Cornwall winning 6-0 and only dropping two sets. 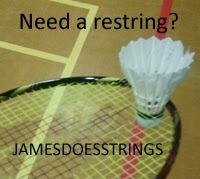 Their second match against Lincolnshire proved to be a tougher challenge. It all came down to the final mixed game in which Milo Semonin and Ellie Watkinson fought hard but lost in three sets, meaning that Cornwall lost 4-2. Their third match, against top seeds and the eventual winners of the tournament, Yorkshire, proved too much for Cornwall. 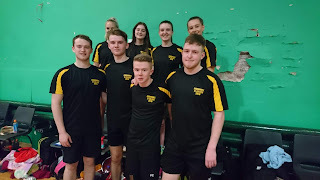 Whilst there were some very close matches, with Amy Polglase and Liam Sillifant losing 28-26 21-17, the team lost 6-0 overall. This meant Cornwall came third in their box, and were into the 9th-12th place play off. After a night celebrating Noah Semonin’s 21st birthday, the team came out fighting the next day facing tough competition against Avon in their first-round match. Tyler Sillifant won his singles comfortably, whilst Ellie Watkinson’s opponent proved too much. 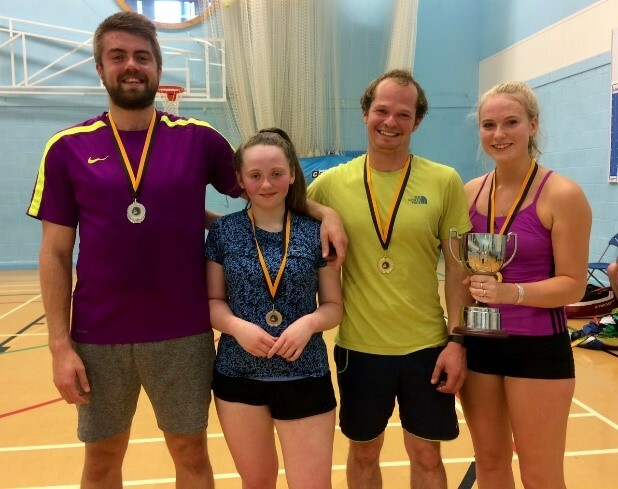 The Semonin brothers lost their match, whilst Amy Cox and Amy Polglase were victorious in their level doubles games. 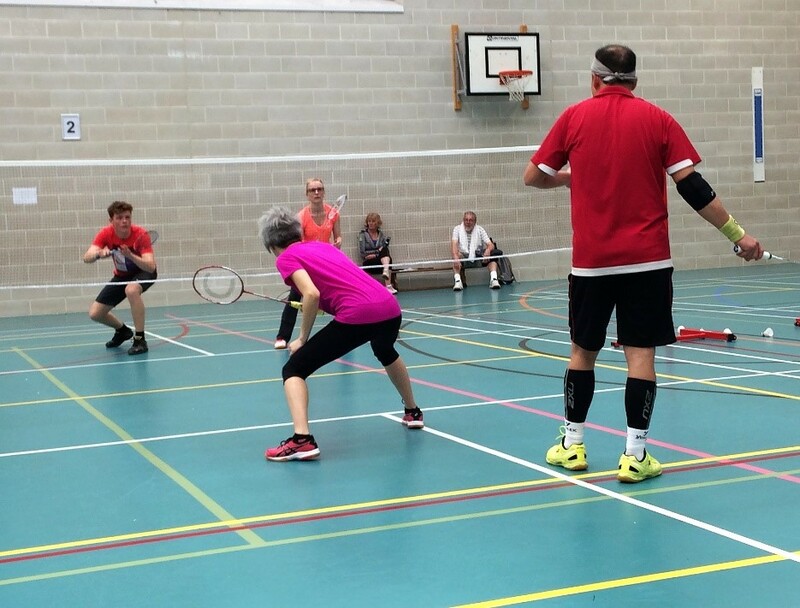 This meant that the teams were tied at 2-2, and everything came down to the mixed doubles. 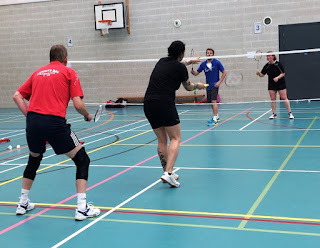 Amy Polglase and Liam Sillifant won comfortably in two sets, meaning that Tyler Sillifant and Amy Cox just needed to win one set to beat Avon overall. 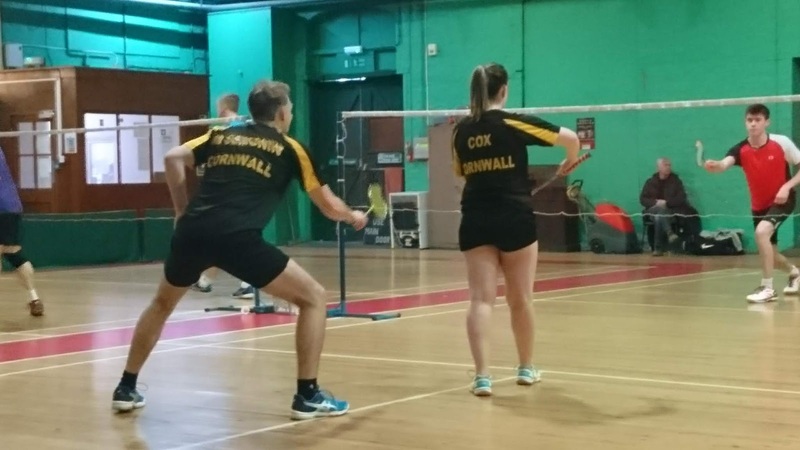 They were successful in doing so, and the Cornwall squad won on points overall against Avon. 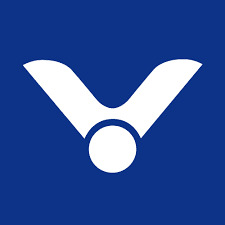 Their next opponents were Kent, in the play off for 9th or 10th place overall. They came out strong, with both Kellen Moore and Tyler Sillifant winning in 21-17 23-21 and 22-20 21-11 respectively. The level doubles were also a success, with Milo Semonin and Liam Sillifant winning a very long and exciting match, winning 21-18, 18-21, 21-18 against a tough pair from Kent. Amy Polglase and Amy Cox found their game a little easier, winning in two sets. 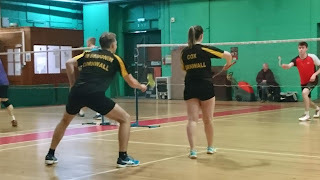 With this giving a 4-0 lead for Cornwall, they could not lose whilst they entered the mixed doubles stage of the match. After a long and tiring weekend, the team beat Kent 4-2, meaning that they came 9th overall, one step up from their 10th place last year. A big thank you to Brian for driving the team up there and back at the last minute. The team consisted of Tyler Sillifant (Launceston), Liam Sillifant (Launceston), Noah Semonin (St Austell), Milo Semonin (St Austell), Amy Polglase (Cambourne), Kellen Moore (Cambourne), Amy Cox (Falmouth) and Ellie Watkinson (Cambourne). On Sunday, social and league badminton teams came from all over Cornwall to the Sir Ben Ainsley Sports Centre in Truro for Cornwall Badminton Association’s brand-new tournament, the Kernow Carlton Cup. Teams of two men and two women competed against each other for the trophy in level doubles and mixed doubles events with a final play-off for the overall winner. 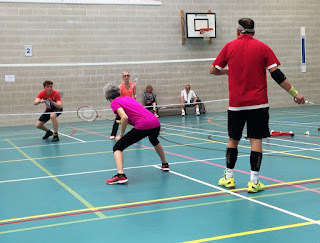 The clubs that took part were Choughs (Camborne), TruFal (Truro/Falmouth), Mounts Bay (Penzance), St Austell Bay, Newquay, Par, Wednesdays (St Austell), CSM (Penryn), and Truro, in an enjoyable day of good badminton. 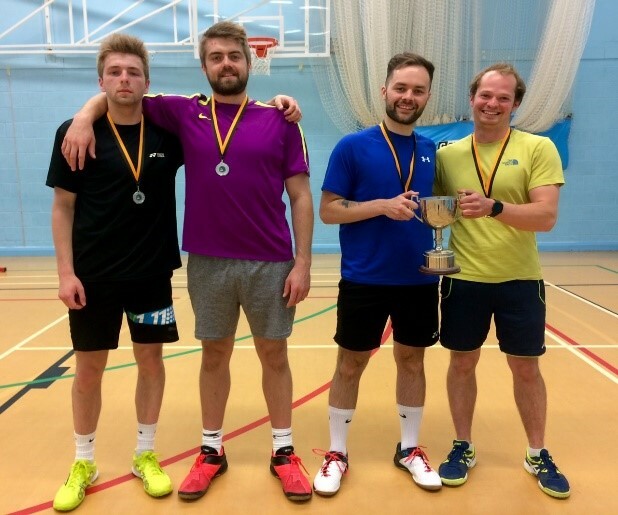 After some close fought games, Newquay came through as the Box B winners, over nearest rivals, the CSM club based in Falmouth University’s Penryn campus. In Box A it was the Mounts Bay team that dominated with a big gap to second placed St Austell Bay. 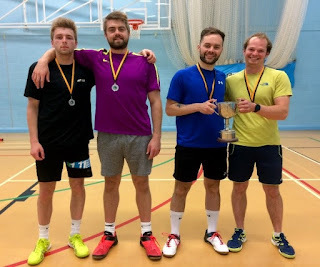 And so, the final began with the men’s doubles, which Newquay’s powerful combination of Nathan Holmes and Drew Daniels taking both ends, despite a fight back from the Mounts Bay boys in the second end. 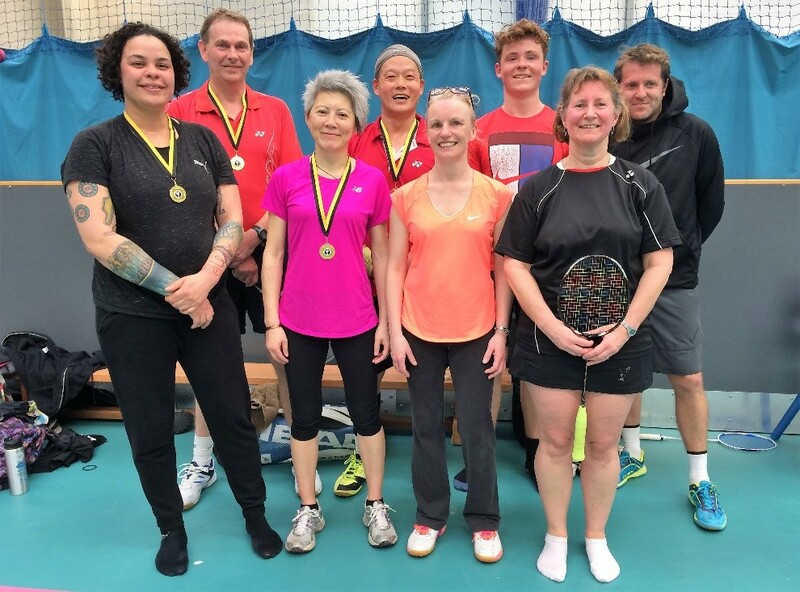 Next up was the women’s doubles, and Mount’s Bay Marianne Fowler and Choi Wong combined well to outpoint Lorna Riggs and Jane Hamberg of Newquay, leaving it all down to the two mixed doubles games to decide the outcome. 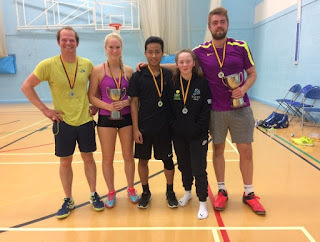 Jamie Dunn and Marianne proved too strong for Drew and Lorna with their careful placement and attack, to give Mounts Bay an advantage, and then Nathan and Jane levelled things up yet again by beating Tony Wong and Choi with some hard hitting and fast court coverage. 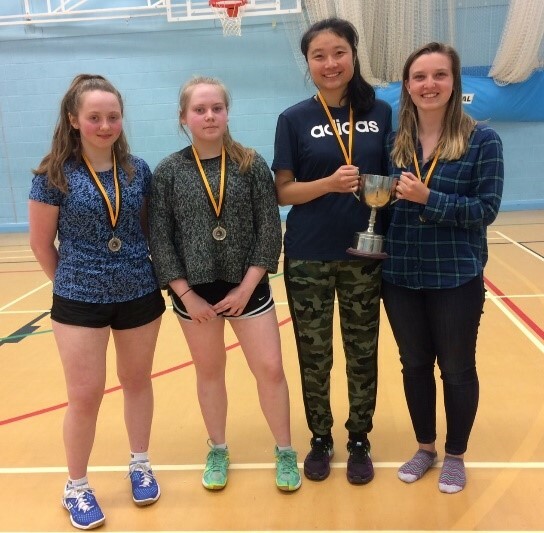 Some quick calculations and the winners were announced – by only 4 points, Mounts Bay had triumphed, after an exciting, high quality final, to end the successful day of this new tournament. Please see details of the tournament below. Entry forms to download here.